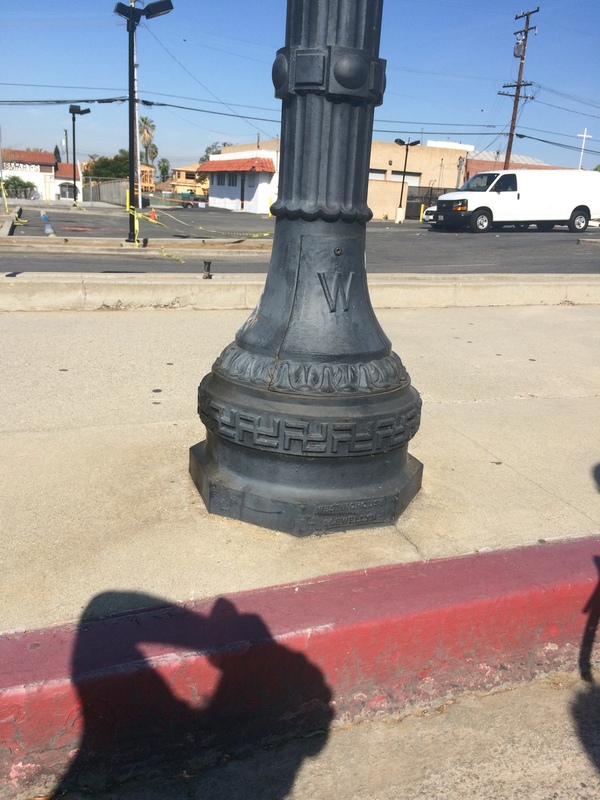 A few weeks ago, we saw some antique street lights in Glendale that were decorated with swastikas around the base. This past week, I’d heard that there were also lights like that in downtown Whittier, so that was the sightseeing for today. We rode down to the Rio Hondo bike path and took that down to Whittier Narrows. 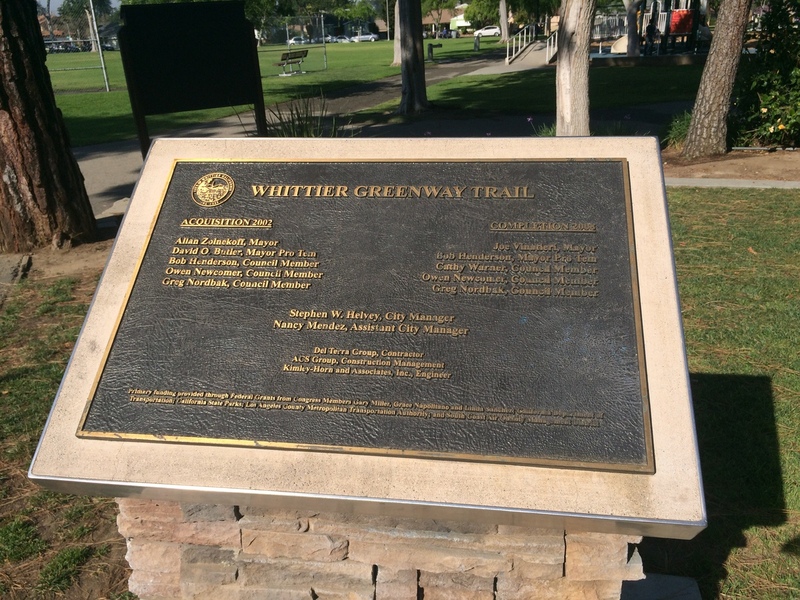 Then we crossed over the river and the freeway to get to Pioneer Blvd, which took us into Whittier, where we picked up the Whittier Greenway Trail. 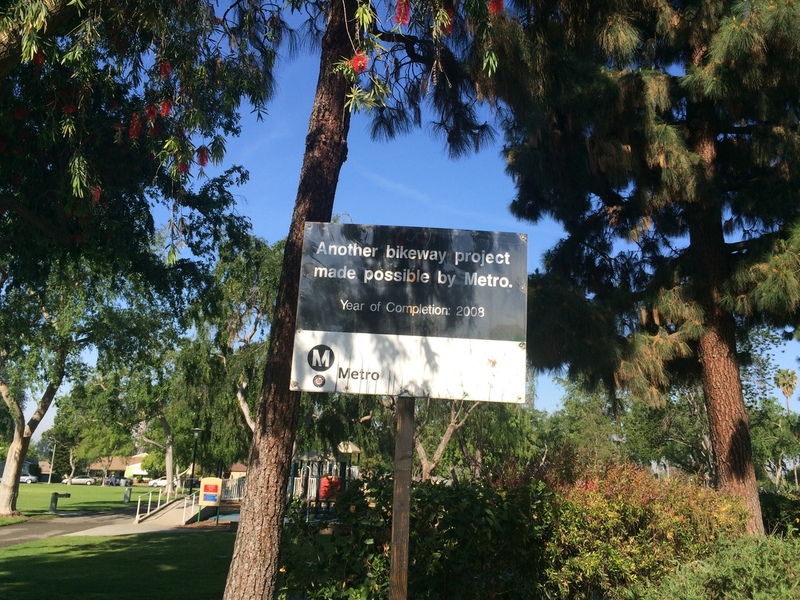 This is a former railroad right-of-way that took us all the way into downtown Whittier. 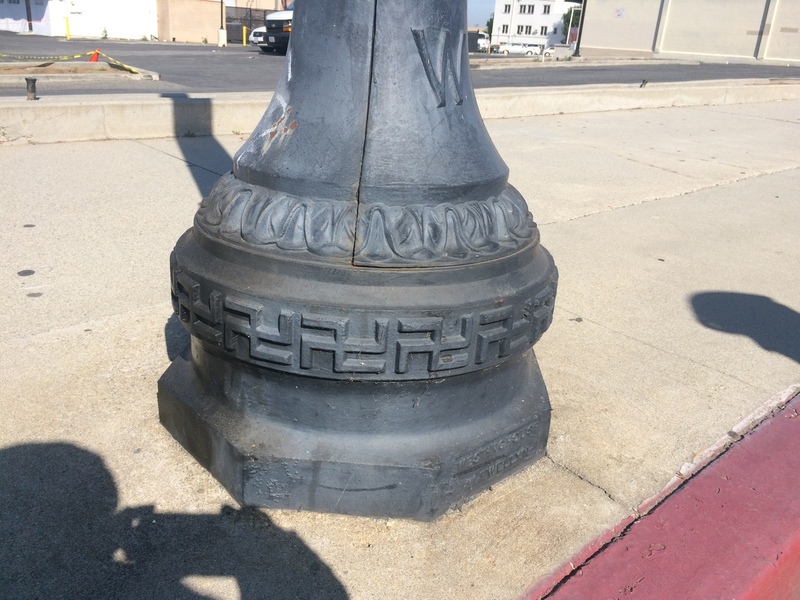 And there we saw the old streetlights with the swastikas around the base. Then we stopped for snacks at Mimo’s Cafe before heading over to the San Gabriel River bike path for the trip back. In the end, the ride turned out to be a bit longer than I’d anticipated, but it was a flat route, so it was all right. And it was a nice day, so we had a nice time.